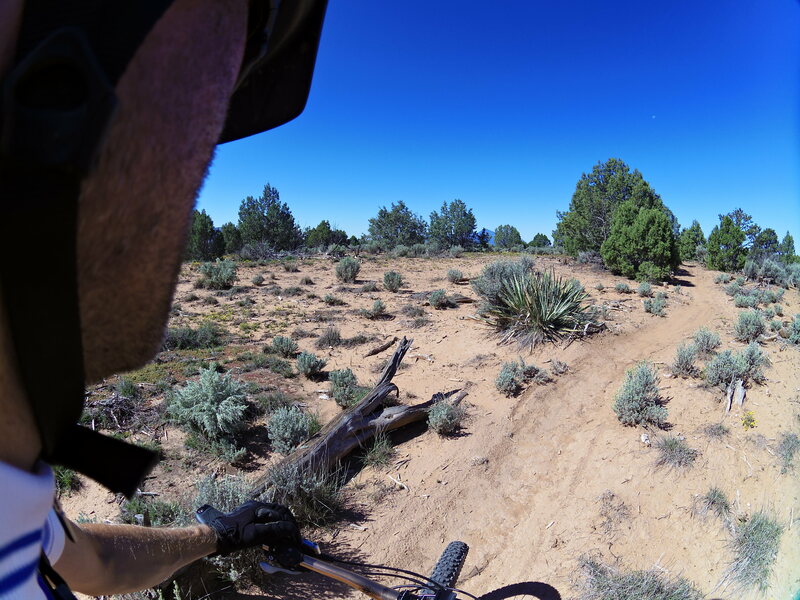 Phil’s World is a trail system that offers plenty of loop options for rides of different length. The trails are one directional to avoid oncoming traffic. What they all have in common is that they are zippy and fun, the famous Rib Cage Trail with berms and jumps in particular. We did an evening ride of about 10 km and a ride the next morning of about 20 km. Without really knowing the history of the trail system, I just like to say: Thank you Phil for the pleasure! 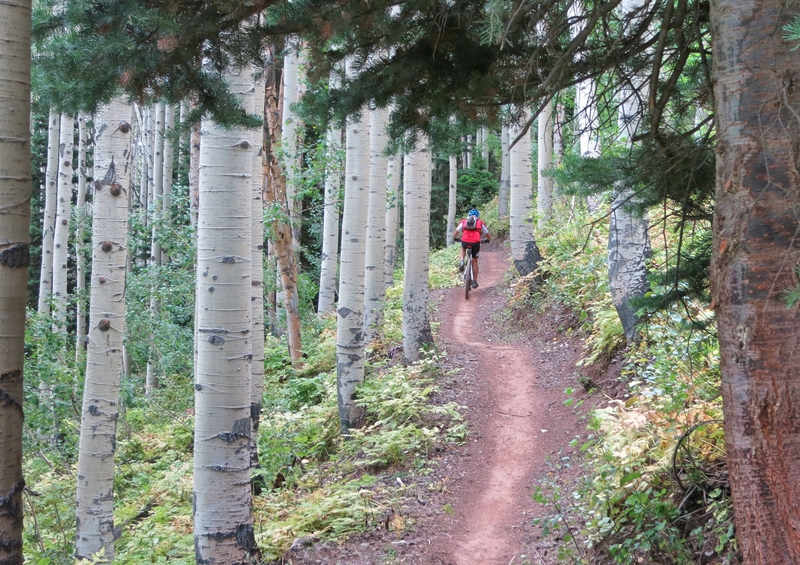 Park City is a ski town, but in the summer it turns into a great spot for mountain biking. 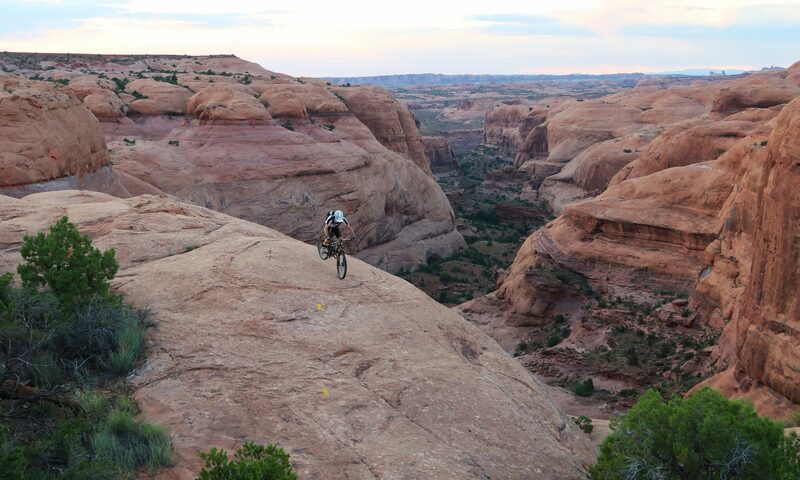 There are more than 350 miles of trails for non-motorized use that want to be explored on fat tires. 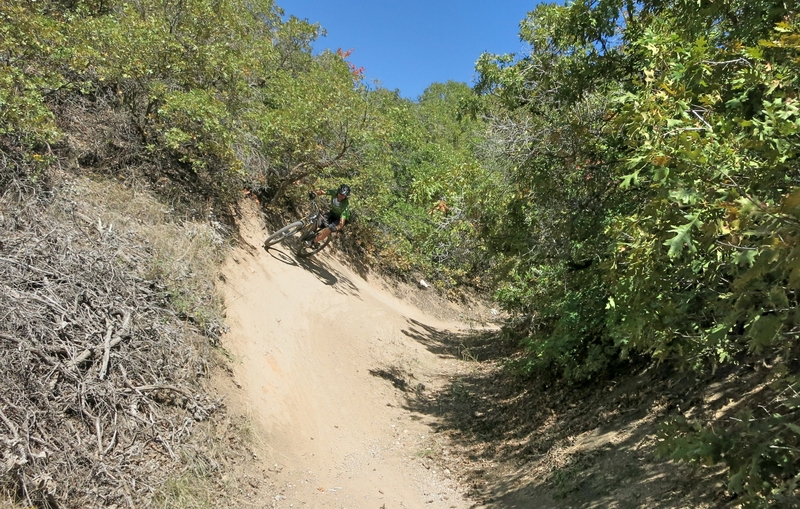 I rode the IMBA Epic loop that combines various trails of Park City and neighbouring resorts. 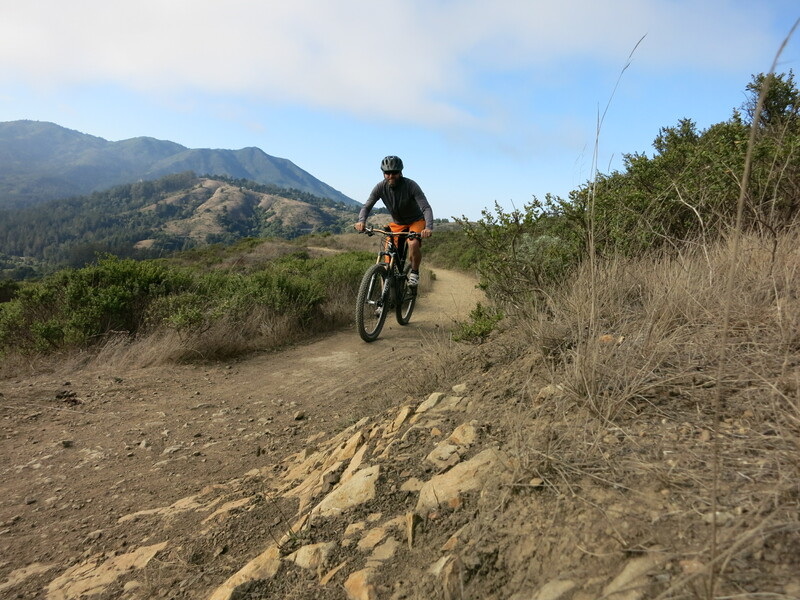 It is over 26 miles (45 km) and you accumulate more than 3,600 feet (1250 m) of elevation gain. Perhaps, my breakfast wasn’t big enough… my energy level was fairly low after the initial climb. That climb after the start winds up through birch forests and lifts you up to an altitude of 3000 meters and makes your lungs and legs burn. After the long climb you ride along the ridge with some ascents and descents until the downhill part of the ride starts. 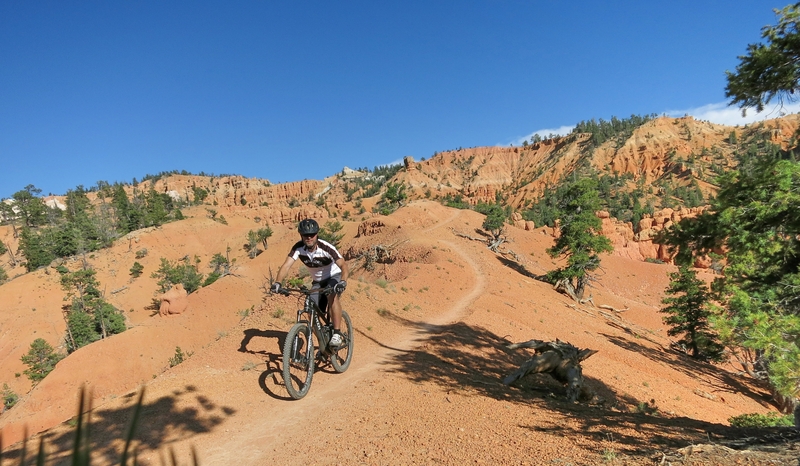 As short ride before breakfast I went up the Spiro Trail and down the Crescent Mine Grade. The ride was short (7 km), but fun, because the Crescent becomes a sort of giant slalom in the lower section. 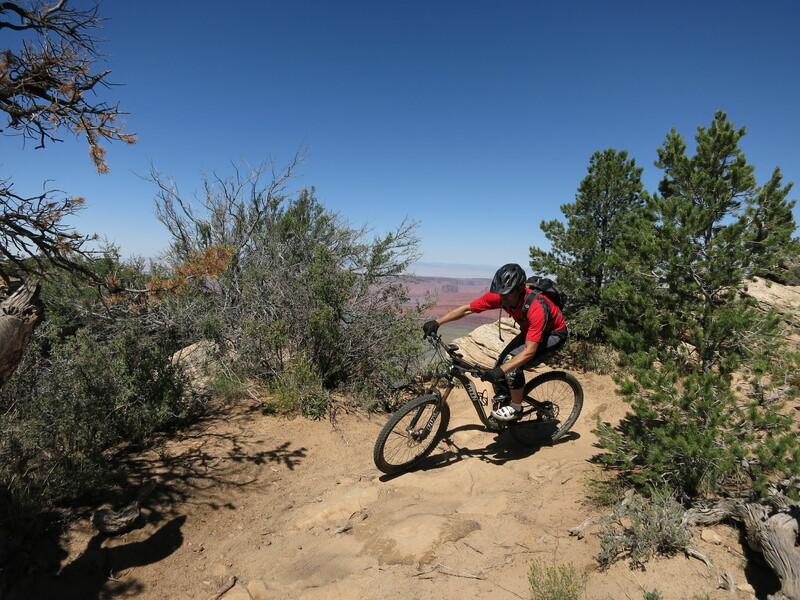 Sedona has it all: a great trail system with lots of rock riding, a magnificent scenery and a sort of new age flair. 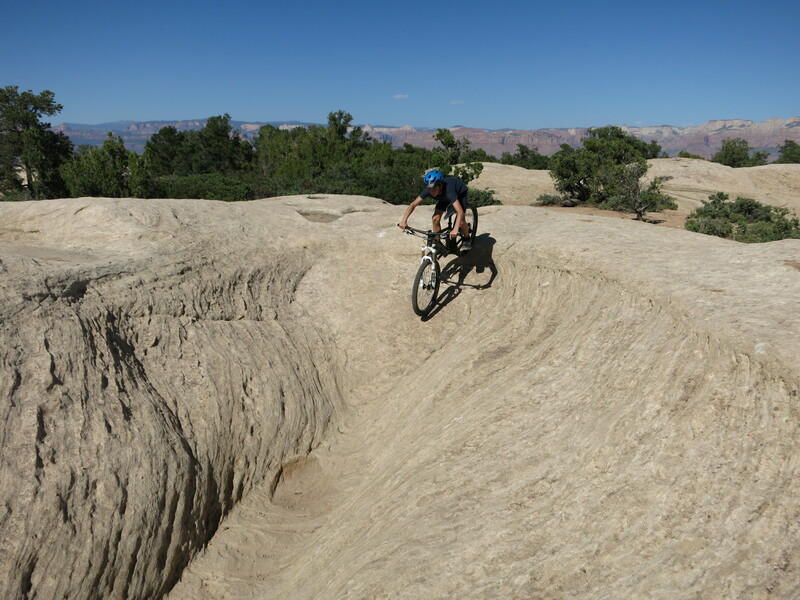 It certainly is a mountain biking mecca where you can spend a couple of days exploring single track trails from “easy” to “insane”. 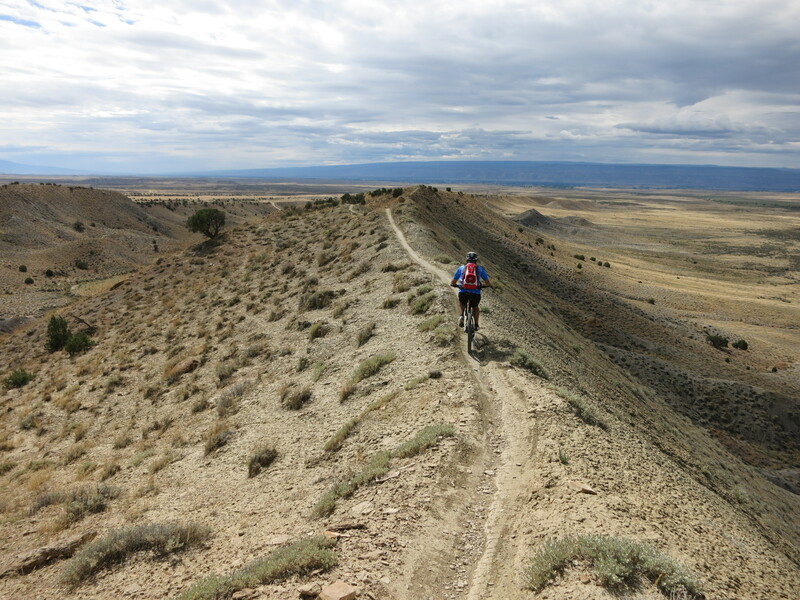 My favourite ride was the combination of the Broken Arrow Trail, Submarine Rock Trail, Little Horse Trail, Mystic Trail and Llama Trail (an extended version of the Twin Butte Loop). After the start from the Broken Arrow Trailhead the trail is mostly uphill with some technical spots and some red rock riding. After about one mile it is worthwhile adding in the Submarine Rock Trail as out and back. This trail takes you around and actually up to the top of Submarine Rock. 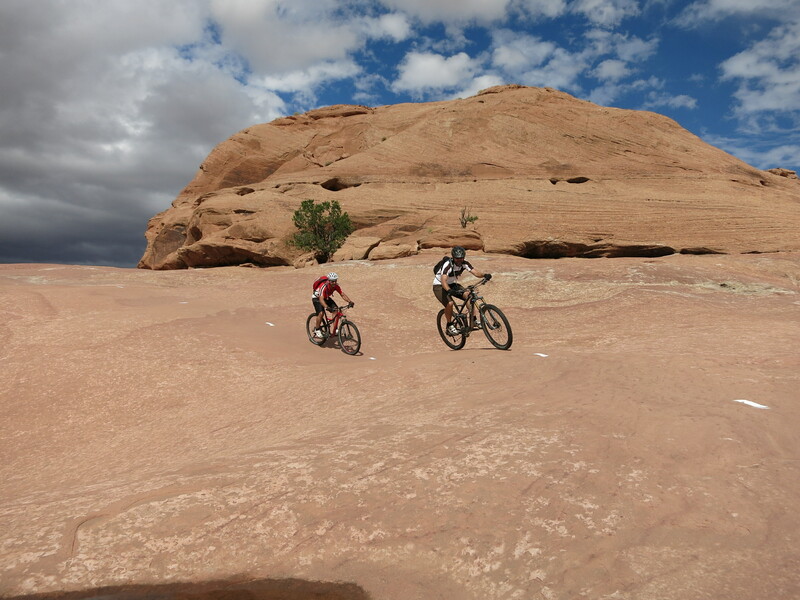 After the Chicken Point the Little Horse Trail winds down and gets smoother and faster. continuing on the Llama Trail means just extending the fun and flow. At the lower end of the Llama Trail you can connect to the trails in the Cathedral Rock area and extend your ride or ride back in the direction where you parked the car. Navigation is pretty easy, due to the maps that are installed at almost every trail intersection. 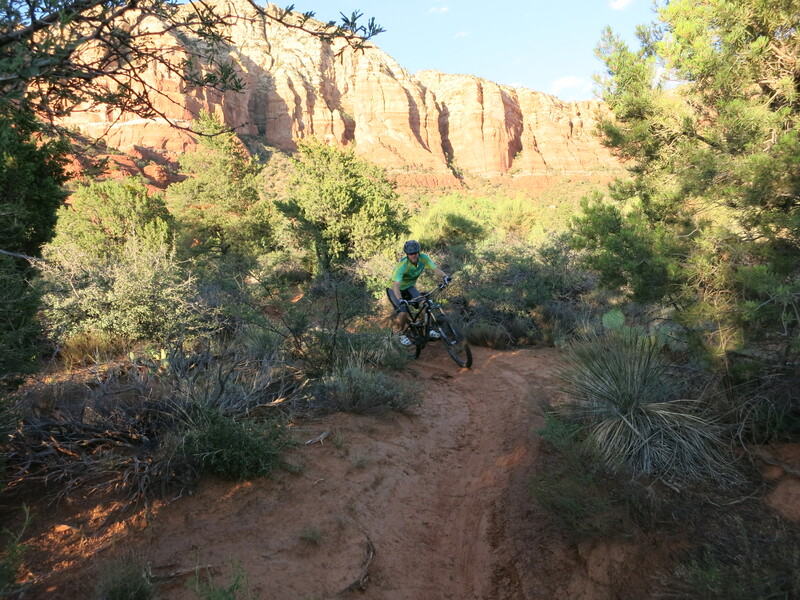 Another great ride in the northwestern trail area of Sedona is the Aerie Loop around the Doe Mountain. If you start the ride in town I recommend to use the Anaconda trail to connect to the other trails. 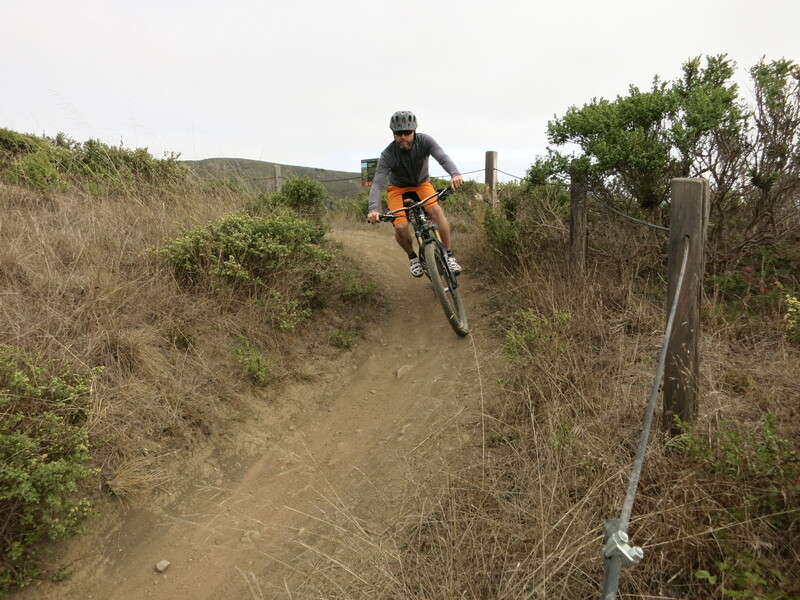 It is zippier than most of the other trails.